The Evil in Pemberley House (with Philip José Farmer), Subterranean Press, September 2009; Meteor House, July 2014. The Scarlet Jaguar, Meteor House, July 2013. A Girl and Her Cat (with Matthew Baugh), Moonstone Books, February 2014. "The Vanishing Devil" in Tales of the Shadowmen Volume 1: The Modern Babylon by Jean-Marc and Randy Lofficier (eds.) (Black Coat Press, March 2005). "Le Diable fantôme" in Les Compagnons de l'Ombre (Tome 5) by Jean-Marc and Randy Lofficier (eds.) (Riviere Blanche, December 2009). "The Vanishing Devil" in Doc Ardan: The Abominable Snowman by Jean-Marc and Randy Lofficier (eds.) (Black Coat Press, November 2015). "The Eye of Oran" in Tales of the Shadowmen Volume 2: Gentlemen of the Night by Jean-Marc and Randy Lofficier (eds.) (Black Coat Press, January 2006). "L'oeil d'Oran" in Les Compagnons de l'Ombre (Tome 1) by Jean-Marc and Randy Lofficier (eds.) (Riviere Blanche, November 2007). "The Eye of Oran" in Doc Ardan: The Abominable Snowman by Jean-Marc and Randy Lofficier (eds.) (Black Coat Press, November 2015). "Shadows Over Kunlun" in Lance Star - Sky Ranger by Ron Fortier (ed.) (Wild Cat Books, August 2006). rev. ed. by Ron Fortier (ed.) (Cornerstone Book Publishers, 2008). rev. ed. by Ron Fortier (ed.) (Airship 27, 2014). "Les Levres Rouges" in Tales of the Shadowmen Volume 3: Danse Macabre by Jean-Marc and Randy Lofficier (eds.) (Black Coat Press, January 2007). "Les Levres Rouges" in Les Compagnons de l'Ombre (Tome 3) by Jean-Marc and Randy Lofficier (eds.) (Riviere Blanche, 2009). "Les Levres Rouges" in The Vampire Almanac, Volume 1 by Jean-Marc and Randy Lofficier (eds.) (Black Coat Press, February 2015). "Les Levres Rouges" in L'Almanach des Vampires by Jean-Marc and Randy Lofficier (eds.) (Riviere Blanche, 2015). "Les Levres Rouges" in Doc Ardan: The Abominable Snowman by Jean-Marc and Randy Lofficier (eds.) (Black Coat Press, November 2015). eBook Kindle (TOTS 3) | Nook (TOTS 3) | Kindle (Vampire Almanac 1) | Nook (Vampire Almanac 1). "The Shades of Pemberley, Parts I & II" in Farmerphile: The Magazine of Philip José Farmer Nos. 8-9 by Christopher Paul Carey and Paul Spiteri (eds.) (April, July 2007). "L'Affaire Atomos" in La saga de Mme. Atomos (Tome 3) by Jean-Marc and Randy Lofficier (eds.) (Riviere Blanche, July 2007). "The Atomos Affair" in Tales of the Shadowmen Volume 4: Lords of Terror by Jean-Marc and Randy Lofficier (eds.) (Black Coat Press, January 2008). "The Atomos Affair" in The Return of Madame Atomos by Andre Caroff (Black Coat Press, September 2011). 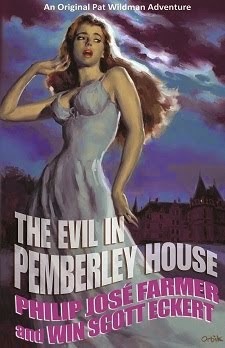 Excerpt from the novel The Evil in Pemberley House (with Philip José Farmer) in Farmerphile: The Magazine of Philip José Farmer no. 14 by Paul Spiteri and Win Scott Eckert (eds.) (October 2008). "Death and the Countess" in The Avenger Chronicles by Joe Gentile and Howard Hopkins (eds.) (Moonstone Books, October 2008). "Iron and Bronze" in Tales of the Shadowmen Volume 5: The Vampires of Paris by Jean-Marc and Randy Lofficier (eds.) (with Christopher Paul Carey) (Black Coat Press, January 2009). "De Fer et de Bronze" in Les Compagnons de l'Ombre (Tome 6) by Jean-Marc and Randy Lofficier (eds.) (Riviere Blanche, 2010). "Iron and Bronze" in Doc Ardan: The Abominable Snowman by Jean-Marc and Randy Lofficier (eds.) (Black Coat Press, November 2015). "Is He in Hell?" in Tales of the Shadowmen Volume 6: Grand Guignol by Jean-Marc and Randy Lofficier (eds.) (Black Coat Press, January 2010). Revised version in The Worlds of Philip José Farmer 1: Protean Dimensions by Michael Croteau (ed.) (Meteor House, June 2010) PREFERRED TEXT. "Le Mouron Rouge en Enfer" in Les Compagnons de l'Ombre (Tome 7) by Jean-Marc and Randy Lofficier (eds.) (Riviere Blanche, December 2010). "No Ghosts Need Apply" in The Phantom Chronicles 2 by Joe Gentile and Mike Bullock (eds.) (Moonstone Books, May 2010). "Captain Midnight at Ultima Thule" in Captain Midnight Chronicles by Christopher Mills (ed.) (Moonstone Books, June 2010). "Fang and Sting" in The Green Hornet Chronicles by Joe Gentile and Win Scott Eckert (eds.) (Moonstone Books, October 2010). "Nadine's Invitation" in Tales of the Shadowmen Volume 7: Femmes Fatales by Jean-Marc and Randy Lofficier (eds.) (Black Coat Press, December 2010). "L'Invitation de Nadine" in Les Compagnons de l'Ombre (Tome 9) by Jean-Marc and Randy Lofficier (eds.) (Riviere Blanche, January 2012). "Nadine's Invitation" in The Vampire Almanac, Volume 2 by Jean-Marc and Randy Lofficier (eds.) (Black Coat Press, May 2015). "L'Invitation de Nadine" in L'Almanach des Vampires by Jean-Marc and Randy Lofficier (eds.) (Riviere Blanche, 2015). "Zorro's Rival" in More Tales of Zorro by Richard Dean Starr (ed.) (Moonstone Books, March 2011). "Happy Death Men" in The Avenger: The Justice, Inc. Files by Joe Gentile and Howard Hopkins (eds.) (Moonstone Books, August 2011). "Bad Medicine" in The Green Hornet Casefiles by Joe Gentile and Win Scott Eckert (eds.) (with Vito Delsante) (Moonstone Books, August 2011). "Marguerite's Tears" in Tales of the Shadowmen Volume 8: Agents Provocateurs by Jean-Marc and Randy Lofficier (eds.) (Black Coat Press, December 2011). "Les Larmes de Marguerite" in Les Compagnons de l'Ombre (Tome 12) by Jean-Marc and Randy Lofficier (eds.) (Riviere Blanche, June 2013). "Marguerite's Tears" in The Vampire Almanac, Volume 2 by Jean-Marc and Randy Lofficier (eds.) (Black Coat Press, May 2015). "Les Larmes de Marguerite" in L'Almanach des Vampires by Jean-Marc and Randy Lofficier (eds.) (Riviere Blanche, 2015). 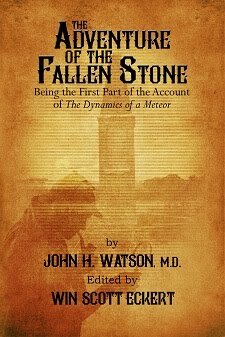 "The Adventure of the Fallen Stone" in Sherlock Holmes: The Crossovers Casebook by Howard Hopkins (ed.) (Moonstone Books, March 2012). Meteor House Chapbook No. 2 (Meteor House, March 2017). "Progress" in The Green Hornet: Still at Large by Joe Gentile, Win Scott Eckert, and Matthew Baugh (eds.) (Moonstone Books, August 2012). "The Wild Huntsman" in The Worlds of Philip José Farmer 3: Portraits of a Trickster by Michael Croteau (ed.) (Meteor House, August 2012). "The Wild Huntsman" in Tales of the Wold Newton Universe by Philip José Farmer and others; Win Scott Eckert & Christopher Paul Carey (eds.) (Titan Books, October 2013). "Violet's Lament" in Tales of the Shadowmen Volume 9: La Vie en Noir by Jean-Marc and Randy Lofficier (eds.) (Black Coat Press, December 2012). "La Complainte de Violet" in Les Compagnons de l'Ombre (Tome 13) by Jean-Marc and Randy Lofficier (eds.) (Riviere Blanche, 2014). "Violet's Lament" in The Vampire Almanac, Volume 2 by Jean-Marc and Randy Lofficier (eds.) (Black Coat Press, May 2015). "La Complainte de Violet" in L'Almanach des Vampires by Jean-Marc and Randy Lofficier (eds.) (Riviere Blanche, 2015). "According to Plan of a One-Eyed Trickster" in The Avenger: Roaring Heart of the Crucible by Nancy Holder and Joe Gentile (eds.) (Moonstone Books, June 2013). "Chance of a Ghost" in Legends of New Pulp Fiction by Ron Fortier (ed.) (Airship 27, December 2015). 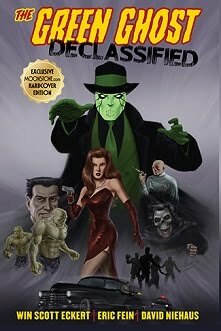 In The Green Ghost: Declassified (Moonstone Books, December 2016). "Being an Account of the Delay in Green River, Wyoming of Phileas Fogg, World Traveler"
Meteor House Chapbook No. 1 (Meteor House, July 2016). 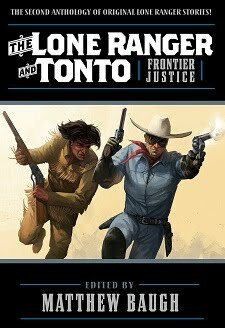 In The Lone Ranger and Tonto: Frontier Justice by Matthew Baugh (ed.) (Moonstone Books, June 2018). 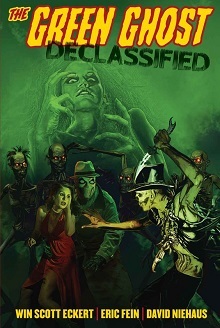 "Zombies under Broadway" in The Green Ghost: Declassified (with Eric Fein) (Moonstone Books, December 2016). Illustrated chapbook (Moonstone Books, January 2017). "Dame Sinestre" in The Green Ghost: Declassified (Moonstone Books, December 2016). Myths for the Modern Age: Philip José Farmer’s Wold Newton Universe, MonkeyBrain Books, November 2005. The Green Hornet Chronicles (with Joe Gentile), Moonstone Books, October 2010. The Green Hornet Casefiles (with Joe Gentile), Moonstone Books, August 2011. The Green Hornet: Still at Large (with Joe Gentile and Matthew Baugh), Moonstone Books, August 2012. 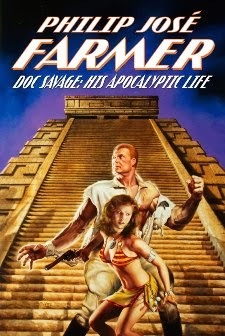 Doc Savage: His Apocalyptic Life by Philip José Farmer, Definitive Edition, Meteor House / Altus Press, July 2013. Tales of the Wold Newton Universe by Philip José Farmer and others (with Christopher Paul Carey), Titan Books, October 2013. Crossovers 1: A Secret Chronology of the World, Black Coat Press, May 2010. Crossovers 2: A Secret Chronology of the World, Black Coat Press, July 2010. "A Reply to 'The Wold Newton Theory Alternative Universe'" in ThrillerUK No. 19, July 2004. Creative Mythography: "A Nova of Genetic Splendor." in Farmerphile: The Magazine of Philip José Farmer No. 1, Christopher Paul Carey and Paul Spiteri (eds.) July 2005. "The Black Forest and the Wold Newton Universe" in The Black Forest 2: Castle of Shadows, Image Comics, September 2005. Creative Mythography: "Six Degrees of Philip José Farmer." in Farmerphile: The Magazine of Philip José Farmer No. 2, Christopher Paul Carey and Paul Spiteri (eds.) October 2005. Creative Mythography: "How He Avoided Publicity, Part II." in Farmerphile: The Magazine of Philip José Farmer No. 3, Christopher Paul Carey and Paul Spiteri (eds.) January 2006. "Foreword" to Tarzan Alive: A Definitive Biography of Lord Greystoke by Philip José Farmer (Bison Frontiers of Imagination, April 2006). Reprinted as "Philip José Farmer's Tarzan Alive" in Burroughs Bulletin New Series No. 81, George T. McWhorter (ed.) Winter 2010. Reprinted in Super Stories of Heroes & Villains, Claude Lalumiere (ed.) (Tachyon Publications, September 2013). Creative Mythography: "Ouroboros, Part I." in Farmerphile: The Magazine of Philip José Farmer No. 4, Christopher Paul Carey and Paul Spiteri (eds.) April 2006. Creative Mythography: "Ouroboros, Part II." in Farmerphile: The Magazine of Philip José Farmer No. 5, Christopher Paul Carey and Paul Spiteri (eds.) July 2006. Creative Mythography: "Doc Wildman: Out of Time." in Farmerphile: The Magazine of Philip José Farmer No. 6, Christopher Paul Carey and Paul Spiteri (eds.) October 2006. "How I Discovered Doc Savage." in How I Discovered Doc Savage, Jay Ryan and Courtney Rogers (eds.) (Solace of Fortitude Publications, 2006). "Introduction" to "The Rebels Unthawed" in Up from the Bottomless Pit and Other Stories by Philip José Farmer (Subterranean Press, 2007). Creative Mythography: "This Peoria Earth." in Farmerphile: The Magazine of Philip José Farmer No. 10, Paul Spiteri and Win Scott Eckert (eds.) October 2007. Creative Mythography: "Trunks and Branches: The Wold Newton Family." in Farmerphile: The Magazine of Philip José Farmer No. 11, Paul Spiteri and Win Scott Eckert (eds.) January 2008. Creative Mythography: "The Farmerian Holmes." in Farmerphile: The Magazine of Philip José Farmer No. 12, Paul Spiteri and Win Scott Eckert (eds.) April 2008. Reprinted in The Best of Farmerphile by Michael Croteau (ed.) (Meteor House, July 2017). Creative Mythography: "Sahhindar through the Centuries." in Farmerphile: The Magazine of Philip José Farmer No. 13, Paul Spiteri and Win Scott Eckert (eds.) July 2008 (with Dennis E. Power). REVISED: "Gribardsun through the Ages: A Chronology of Major Events Pertinent to Time’s Last Gift" (with Dennis E. Power). In Time's Last Gift by Philip José Farmer (Titan Books, June 2012). In The Best of Farmerphile by Michael Croteau (ed.) (Meteor House, July 2017). Creative Mythography: "Excessively Diverted, or, Coming to Pemberley." in Farmerphile: The Magazine of Philip José Farmer No. 14, Paul Spiteri and Win Scott Eckert (eds.) October 2008. Creative Mythography: "Philip José Farmer in the Wold Newton Family." in Farmerphile: The Magazine of Philip José Farmer No. 15, Paul Spiteri and Win Scott Eckert (eds.) January 2009. REVISED:"Only a Coincidence: Phileas Fogg, Philip José Farmer, and the Wold Newton Family." 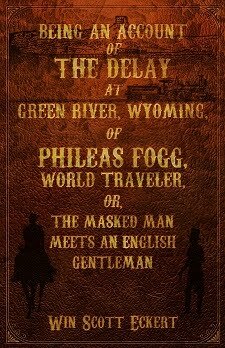 In The Other Log of Phileas Fogg by Philip José Farmer (Titan Books, May 2012). "Introduction" to Sherlock Holmes und das Uhrwerk des Todes by Christian Endres (Atlantis, December 2009). "Introduction" to Scarlet in Gaslight by Martin Powell (Pulp 2.0 Books, December 2011). "A Tale of Two Universes" in Lord of the Trees by Philip José Farmer (Titan Books, November 2012). "A Feast Revealed: A Chronology of Major Events Pertinent to Philip José Farmer’s Secrets of the Nine Series" in The Mad Goblin by Philip José Farmer (Titan Books, June 2013). "Book of Magic" in Doc Savage: His Apocalyptic Life by Philip José Farmer (Meteor House / Altus Press, July 2013). "Introduction" to Sisters of the Shadows: The Cagliostro Curse by Rick Lai (Black Coat Press, October 2013). "The Wold Newton Tales of Philip José Farmer" (with Christopher Paul Carey) in Tales of the Wold Newton Universe by Philip José Farmer and others, (Titan Books, October 2013). "Foreword" to Crossovers Expanded, Volume 1 by Sean Lee Levin, (Meteor House, July 2016). "Foreword" to The Green Ghost: Declassified (Moonstone Books, December 2016). "Star Wars: The Early Media Tie-In Universe Chronology" in A Galaxy Far, Far Away: Exploring Star Wars Comics, Rich Handley and Joseph F. Berenato (eds. ), (Sequart, December 2016). "Daughter S̵o̵n̵ of Savage: A Wild Woman?" in The Bronze Gazette No. 79, Chuck Welch (ed.) Summer 2017. "Editor's Introduction" to Tarzan and the Dark Heart of Time by Philip José Farmer (Meteor House, July 2018).